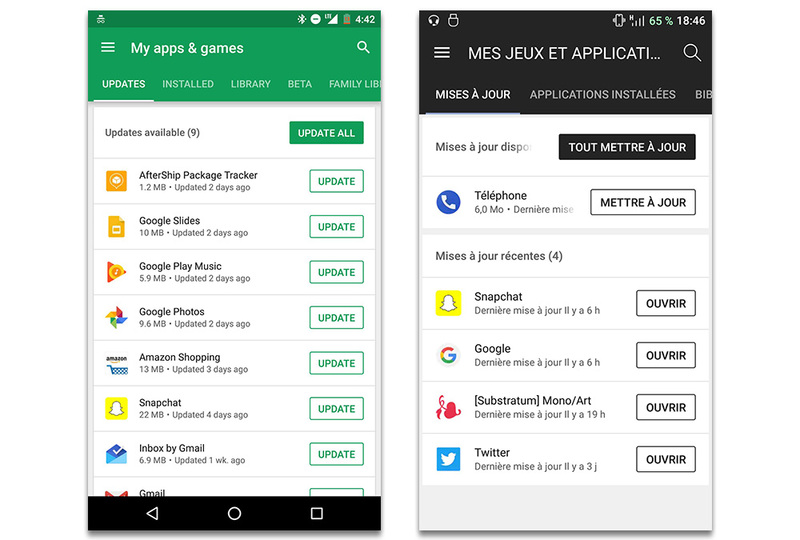 Google appears to be rolling out a slightly tweaked Google Play UI today that should make updating individual apps an easier task. You should be able to see what I’m talking about in the image above, where apps that have updates show with a new “UPDATE” box for quick-tap updating. In the current Play store UI, the installed apps page will show you if apps have updates, but in order to update them individually, you have to tap on the app, go to app’s page, and then tap on “Update.” You could tap “UPDATE ALL” to update everything, of course. However, one less tap to control the individual update experience isn’t something I’m about to complain about and fully welcome. I feel like we saw this change in testing a while back, but a new wave of people are seeing the update this morning. Let us know if you are as well. The change is likely a server-side thing, so feel free to hold off on the Play .apk begging.